Wesley Snipes is one of those action actors who has the ability not only to showcase fighting skills, but more importantly, acting skills as well. Following a simple premise which we have seen many times, Mauro Borrelli’s The Recall is another film that will go down history as if it was never made, however, there is one very important detail in the film which will secure the same movie’s presence in the history of technological advancement of cinema as it was screened using Barco Escape Technologies and with VR. The Recall, as I already mentioned, uses a storyline we all are aware of: road trip, teenagers wanting to spend some quality time together far from the boring city life. The weather forecast also promises sunshine with 30 degree Celsius, which makes everybody extremely happy. But there is one thing our heroes are not aware of – that it will be their last weekend ever before aliens make a final attack on Earth to abduct every single being…. This movie is not only about aliens, abduction, heroes and bad guys, there is some backstory behind each individual. For instance, Charlie, who spends one year to mourn the death of his girlfriend whose cause of departure from this earth is yet to be revealed. 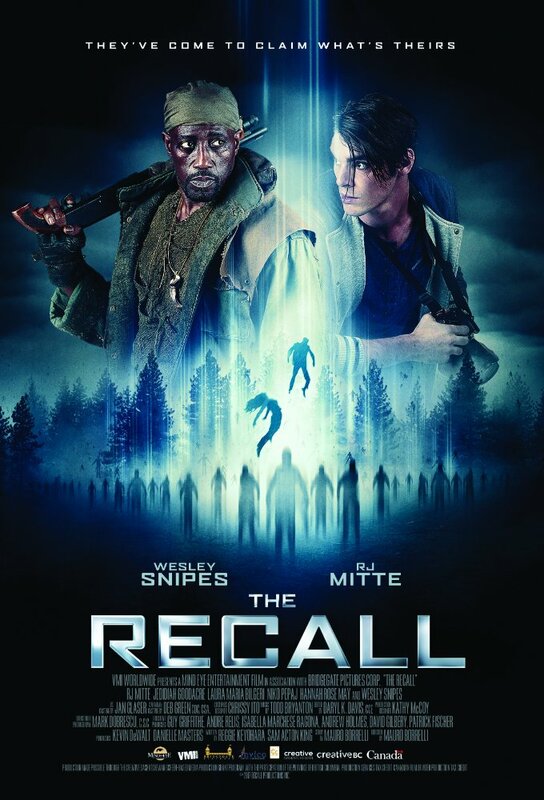 The Hunter, played by the show stealer Wesley Snipes, without whom this movie could have turn into sleeping pills. Overall, there is nothing superior or breathtaking about Borrelli’s movie despite its technological side of it. Just because of that, this movie is worthwhile. Also, it was visible that Borrelli’s focus was not to make a new Star Wars or discovering something new about what had already been told many times. But rather, it was an experimental movie for him to see which direction this movie will take having shot it in VR. This is why it’s important not to think much about negative reviews and have it previewed yourself in VR, so at least you as a viewer can forgive the filmmaker for not being so dedicated to the artistic part of the film which for most of us, I am afraid, is more important than anything else….